Chamomile is another home remedy that is particularly effective in treating an upset stomach — as well as several other conditions. OMG! A German study found that chamomile, when combined with apple pectin, helps put a quick end to diarrhea in children. Compared to placebo (dummy pill), the chamomile-pectin combination was significantly more effective and just as safe. 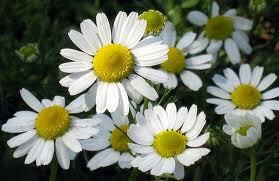 Chamomile’s medicinal secret is the volatile oil derived from its daisy-like flowers. An extract produced from the herb can reduce muscle spasms and inflammation of mucous membranes, making it a useful treatment for indigestion and menstrual cramps. Chamomile also contains chemicals that fight infections that cause minor illnesses. Constituents are the Answer! Several studies indicate that chamomile is a good digestive aid. The herb contains a wide variety of active constituents. The anti-inflammatory constituents of cham­o­mile, including azulene, chamazulene, bisabolol, and matricin, appear to have distinct modes of action. Some of them are more powerful than others but perform for a shorter period of time; others are milder but perform for longer periods of time. Bisabolol, one of its prime constituents, has anti-inflammatory properties and relaxes the smooth muscle lining of the digestive tract. In experimentally induced gastritis and other inflammations of the mucous membranes, chamomile consistently demonstrated quick and prolonged anti-inflammatory effects. What we’re learning now is that apparently all of chamomile’s constituents must work together for the herb to function medicinally. Thus, chamomile would seem to be one of the plant kingdom’s best examples of holistic medicine at work. For years, researchers attributed the herb’s antispasmodic effect to the presence of flavonoids, such as apigenin and luteolin. But several recent trials have demonstrated that other constituents also contribute substantially to the herb’s total sedative action. The importance of chamazulene and its precursor, matricin, has been demonstrated in nearly all of chamomile’s actions. Ulcer Suppression? Chamomile may also help to prevent and heal ulcers. In one study, two groups of animals were fed a chemical known to cause ulcers. Animals that were also given chamomile developed significantly fewer ulcers than those who did not receive it. And animals that did develop ulcers recovered more quickly if they were fed chamomile. In 1979, experiments verified chamomile’s protective healing effects on the mucous membranes of the gastrointestinal tract. In the first experimental studies, chamomile inhibited formation of ulcers produced under several conditions, including stress and administration of drugs, such as alcohol. Although the ultimate role of hydrochloric acid in naturally occurring ulcers is a subject of dispute, it has been shown that chamomile is able to inhibit formation of ulcers that are experimentally induced by that acid. Chamomile is definitely a great way to get over those weekend binges and eating out so keep a good Chamomile tea on hand just in case. 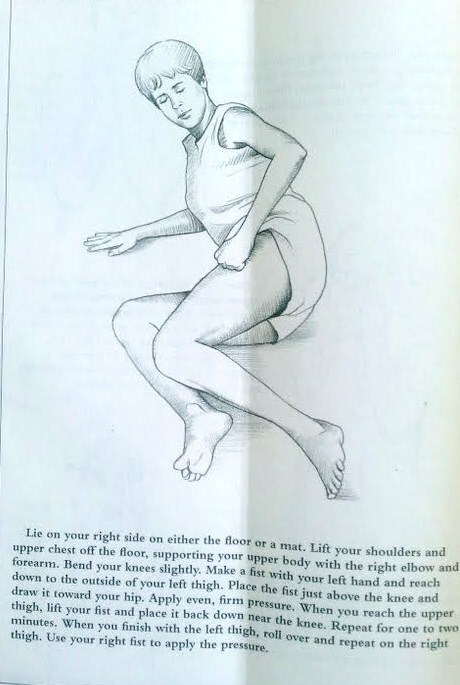 Also below is great example of how a simple massage can help with digestion as well.